We met a few summers ago on a humanitarian service trip to Guatemala, and we were inseparable from the start. 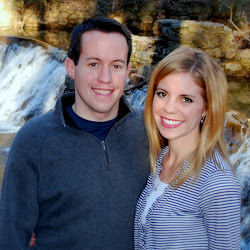 At the end of summer, Kathryn moved to Washington, DC for a new job, and Jeff joined her there a few months later. After dating a bit longer, we were married on a beautiful, sunny day the following summer. We returned to Utah for Jeff to finish his undergraduate degree and then moved to Los Angeles so Jeff could attend graduate school. We recently settled in beautiful, friendly Atlanta, Georgia and we love it here! Jeff spent most of his childhood in Utah except for 2 exciting years when his family moved to Hawaii. His mom passed away when he was 11-years-old and his dad did an amazing job raising Jeff and his 4 younger siblings as a single parent until getting remarried when Jeff was 18. Jeff’s new mom and her 3 daughters fit perfectly into the family and now all 10 of them are as close as any family could ever be. Jeff is outgoing and such a kid at heart. He can make Kathryn laugh till she cries and has a knack for making others feel special – he is genuinely interested in and cares about so many people. Kathryn adores him and feels so lucky to be his wife! His goal is to “save the world” and he’s currently working as a public health analyst for the federal government. Kathryn and her 3 younger sisters – who are also her best friends – were raised in Utah by wonderful, loving parents. She has such fun memories of her childhood and thinks she has the best family in the world. Everyone Kathryn meets is instantly drawn to her cheerful personality. Jeff thinks she is incredibly thoughtful, intelligent, clever, loving, and fun to be around. Her job as an accountant is challenging and has allowed her to meet many interesting people, but Kathryn looks forward to being a stay-at-home mom and can’t think of anything more fun than trips to the park, bike rides around the neighborhood, and making cookies!